Calmness is “peace of mind”, free from worry. But remaining calm can be really hard. There is no point doing martial arts training if you react to stress around you. If tension rises inside of you, take a few deep breaths and focus on something happy. Force yourself to smile. In class, we purposely put you through stress, so you can learn to react and relax correctly. 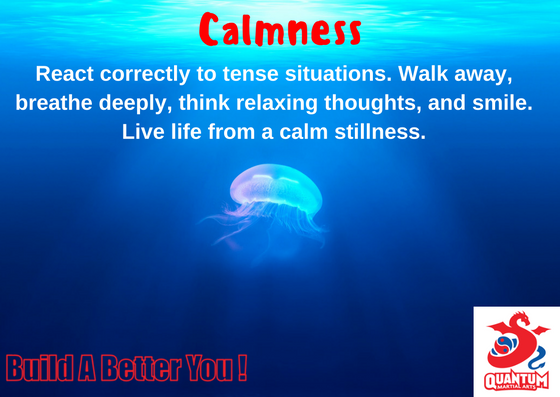 You must learn calmness, otherwise you cannot progress with your training…or even “build a better you”.